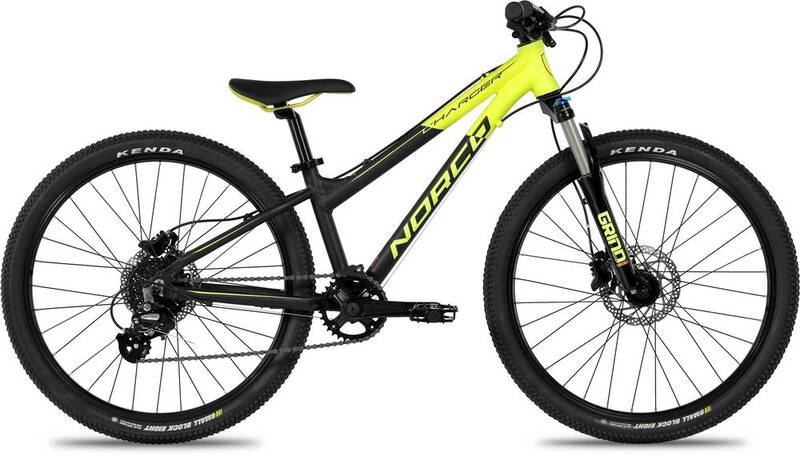 The 2019 Charger 4.1 is an aluminum frame youth bike by Norco. VP505 aluminum Jr. MTB flat pedall 9/16"
Kenda Small Block 8, 24x1.95"
The 2019 Charger 4.1 is easier to ride up hills than similar bikes. The 2019 Charger 4.1 is geared about the same as similar bikes for riding downhill.